Houzify, a mobile marketplace for home dÃ©cor and interior designs, is set to raise seed capital from former Infosys CFO TV Mohandas Pai and InMobi co-founder Naveen Tewari, sources said. Gunaseelan R, co-founder of Houzify (run by Metamarket Pvt Ltd), declined to comment on the development. "Our fundraising (process) is in progress and we would not want to comment on it," he said in response to a techcircle.in query. Tewari confirmed his participation in the funding round while Pai was not available to comment. Financial details of the transaction could not be ascertained. 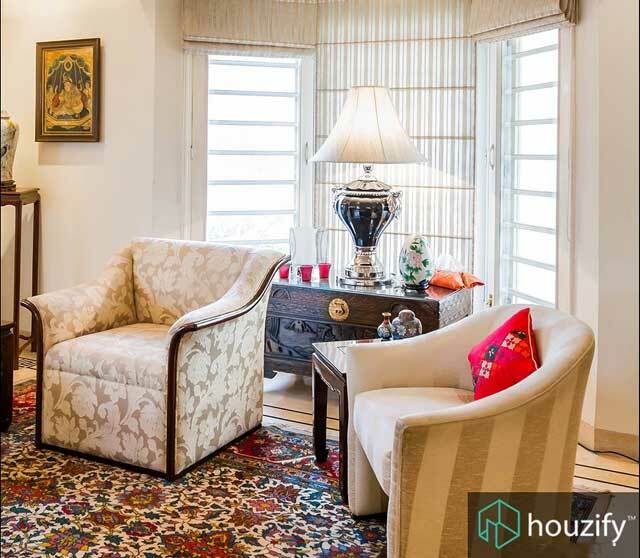 Founded in September 2014 by Gunaseelan, Shailesh Kochhar and Chintan Punjabi, Houzify enables users to discover and deploy interior design themes through its mobile app. The company aims to connect homeowners with design enthusiasts, professionals, retailers and manufacturers. It just launched an Android version of the app while the iOS version has been available for quite some time. Before starting Houzify, Gunaseelan was global business lead at InMobi while Kochhar was an engineer with Google. Punjabi worked as design strategist with Moonraft Innovation Labs. InMobi is known to have spawned over 40 startups and Tewari himself has backed names such as Oliveboard, Globevestor and PickYourTrail. "The number of startups that emerged from InMobi is about 44. You lose people, but it is fun to have many more entrepreneurs," Tewari said. Pai, who currently chairs VC firm Aarin Capital and educational major Manipal Global, has invested in several early-stage companies in his personal capacity. He has positions in about two dozen companies. A host of startups has emerged in the home dÃ©cor and online furniture space. Houzify would compete with other startups such as Livspace, Intruo, JBR Interio (Foyr), BedBathMore and Gloob. Online furniture players such as FabFurnish, Pepperfry and UrbanLadder besides horizontal e-commerce majors such as Flipkart.com, Snapdeal.com and Amazon.in also have a strong grip in this space. Indeed, several startups have also raised capital. Foyr.com, the online local market place for home dÃ©cor services, has initiated talks with investors to raise $5 million (Rs 33 crore) is Series A funding barely three months after raising $1 million (Rs 6.6 crore) in pre-series funding from Astarc Ventures. Mumbai-based Pepperfry.com, an e-commerce marketplace for furniture, home decor and appliances, secured $100 million in funding from Goldman Sachs Group Inc and Zodius Technology Fund in July. Earlier this week, FabFurnish.com said it will no longer keep inventory as the Rocket Internet-backed company seeks to evolve into a full-fledged marketplace for home products.